Sockeye salmon returns have plunged to historic lows in the Skeena River system of northwestern British Columbia, forcing drastic, never-before-imposed fishing closures. Commercial and non-native recreational fisheries were shut down on the river last month, and the Department of Fisheries and Oceans issued a directive last week noting the fisheries are also closed on Babine Lake and Babine River. Lake Babine Chief Wilf Adam says for the time being, his First Nation is still able to fish for food on Babine Lake, but he says the band is having the difficult conversation about whether to close even that, although many in his band east of Smithers rely on it. Adam says it's the first time in anyone's memory that the food fishery has been so restricted. Department of Fisheries North Coast area director Mel Kotyk estimates only 395,000 sockeye will return to the Skeena system this year, down from initial estimates of up to 800,000 fish. 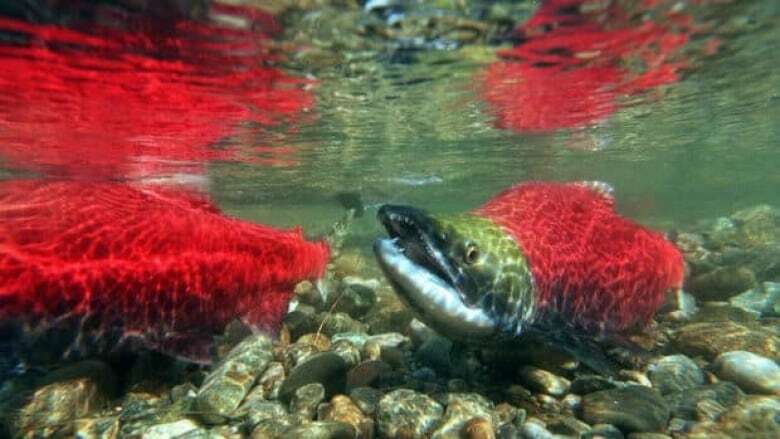 He says the management plan for the river requires a total closure if counts fall below 400,000, and he blames conditions at sea for the poor returns, but doubts those conditions will affect next year's sockeye spawning cycle.